The Garnett Foundation has been delivering behavioural and cultural change programmes across the UK and abroad for nearly 25 years. We are training professionals, with theatre as our tool. Experiential learning, using theatrical and interactive drama-based methods, is at the heart of almost all our programmes and interventions. It is a powerful means to help organisations engage their staff and improve how they work in a sustained and meaningful way. Processes that enable us to understand the client’s organisation, rapidly assimilate internal and external issues, and tailor precise and effective programmes. Cumulative experience of our directors, consultants, scriptwriters, researchers, facilitators and actors. Extensive knowledge of key areas of legislation. Understanding the implications of inquiries and resulting reports, such as The MacPherson Report, The Francis Report, and the ‘Nolan Principles’, and to help organisations respond and shape themselves appropriately. Training significant numbers of delegates: drama-based training can deliver a powerful and meaningful experience for large numbers at a time. 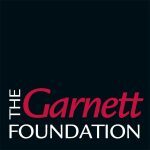 The Garnett Foundation combines a wealth of business acumen, learning and development experience and innovative flair. Everything we do has one goal, to improve the performance of our clients.